This is an adaptation of the English cottage pudding recipe that my grandmother used to make for her kids. Cottage pudding is actually a rich vanilla cake served with a sweet warm sauce. In this case, it's blueberry vanilla cake with hot blueberry sauce poured over the top. It's best to eat in a bowl, and with a spoon. By using nut flours and stevia to sweeten this cottage pudding, each serving has just 8 total carbs. 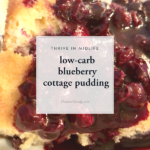 This is why, although the recipe could be considered ketogenic, I just call it low carb, because I know, and you will too when you taste it, that you're totally going back for seconds. 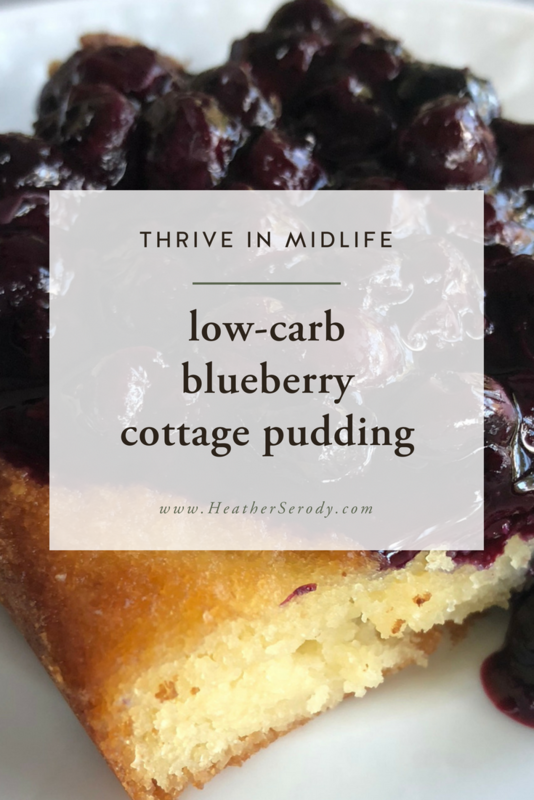 You'll need to have some low carb baking ingredients on hand to make your cottage pudding low carb. All of the above ingredients are low carb baking essentials that you should have stocked in your pantry at all times, scroll down for convenient Amazon shopping links. 1/2 C 1 stick melted grass-fed butter + more to grease the pan. Preheat the oven to 400°F/180°C. Grease an 8x8x2" square pan with butter. In a medium bowl, whisk together the dry ingredients: both flours, baking powder, salt, Swerve, & Xanthan gum. In a separate medium sized bowl, whisk together the egg, almond milk, butter, stevia glycerite, & vanilla until combined. Add the blueberries & stir together. Pour the cake batter into the greased pan and place in lower oven rack. Bake for 20-25 minutes, checking that the top does burn. Cover lightly with foil if the top is browning too much. The cake is done when the top is golden brown & a toothpick inserted into the center comes out clean. While the cake is baking, make your sauce. In a medium saucepan add the blueberries & water & heat to simmering over medium heat. Once simmering, add the stevia glycerite, pinch of salt, & guar gum. Mix to combine. 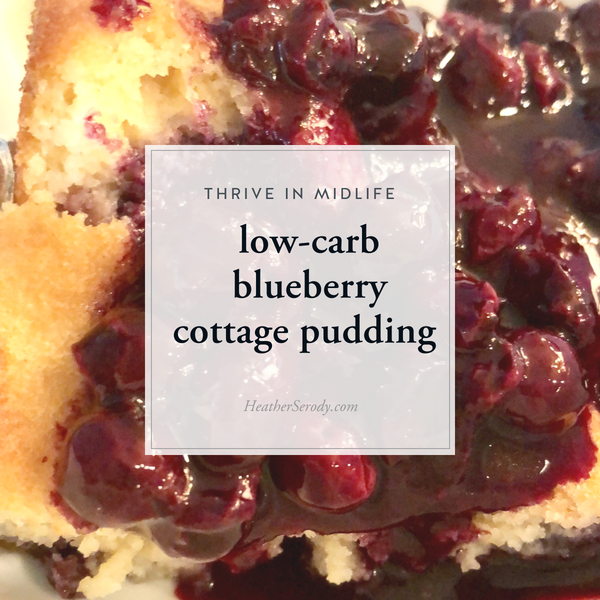 Allow blueberry sauce to simmer until it is thickened, slightly reduced, and about half of the blueberries have popped-about 10-15 minutes. To serve, cut the cake into 12 servings. Place cake square in a shallow bowl & pour hot blueberry sauce over top. Eat with a spoon & be prepared for purple teeth & happy smiles. *Xanthan gum provides elasticity and stickiness in low-carb baking. When you use almond &/or coconut flours instead of wheat flour, there is no gluten to act as the binding agent. Xanthan gum provides this, helps hold onto some moisture, and helps give the baked good some structure. **to read more about why Swerve is essentially carb-free & calories free go here. This is why my nutrition data for this recipe does not reflect calories or carbs from Swerve. ***Guar gum is a no carb ingredient used to thicken sauces.